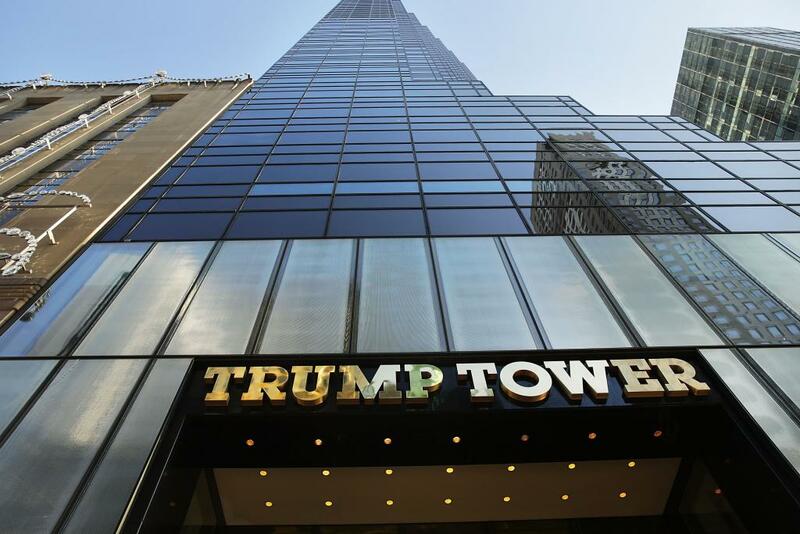 In an altogether bewildering turn of events, President Donald Trump’s gilded New York tower—you know, the one with his name on it in giant gold letters—could become home to the refugees he is desperately trying to keep out of the country. A guy in Brooklyn, Jonah Bliss, has launched a campaign to raise the $4,950/month (or around $60,000/year) needed to rent an apartment in the tower for a young family from one of the seven Muslim-majority countries on Trump’s now-defunct banned list. If Bliss succeeds, he’ll work with a group like EmergencyBNB, which places refugees in short-term housing, to help the newly-arrived immigrants hit the ground running. To pause for a moment: Is this really THE BEST WAY to do that? Is it the most efficient method of using our precious dollars to aid refugees? Well, I mean, first consider the other wildly inefficient things we’re willing to do with our money, like for instance, building an exorbitant, unnecessary, and largely symbolic border wall. Besides, does “efficiency” really even matter? Concepts like “truth” and “objective reality” and “cost/benefit analysis” and “the faultlessness of Meryl Streep” are dead. Arbitrary beliefs now take precedence over actual facts. So if you just believe that this is a practical way of helping refugees, then maybe it is. But wait, won’t the rent check go straight to the Trump family? Actually, as Bliss explains, the available units are owned by individuals who purchased them long ago, so nothing you donate will make its way to Trump. And there are plenty of excellent reasons to donate—like a desire to troll for the greater good, or a little benevolent nihilism, or a deep love of irony, or an eagerness to provide tangible, if excessive, material support to a family that genuinely needs it. Of course, there are perks to giving: If you donate $10,000 or more, Bliss will do “whatever you want,” including—but not limited to—trying to “print your head onto the walls of the Trump Tower apartment.” So there’s that. Thus far Bliss has raised only $362 of his $60,000 goal, which, according to math, is less than one percent. If the campaign fails, all the money raised will be given to organizations that help refugees resettle in America. As Bliss points out, the following words are emblazoned onto the Statue of Liberty: “Give me your tired, your poor, your huddled masses yearning to breathe free, the wretched refuse of your teeming shore. 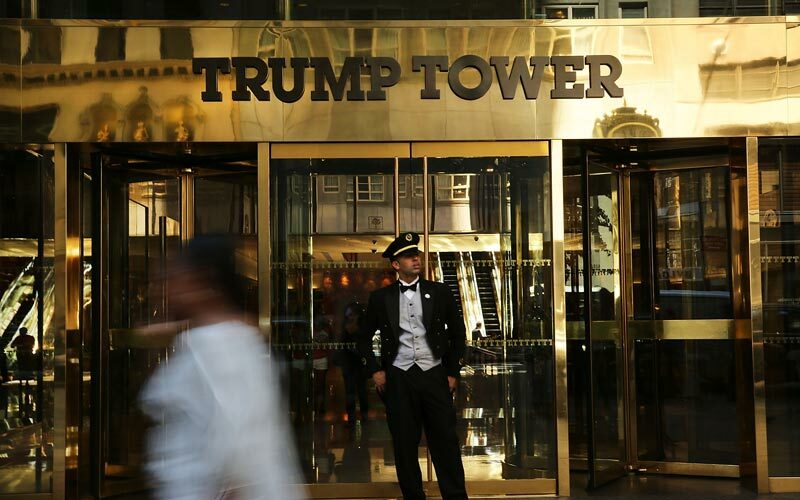 Send these, the homeless, tempest-tossed to me: I lift my lamp beside the golden door.” What better way to live out that poetic ideal than by ushering those tempest-tossed through a literal golden door (see above photo for reference) and into a new home in Trump Tower? Thomas Harlander is a staff writer at Los Angeles magazine. You can follow him on Twitter and Instagram. He recently wrote: Everything You Need to Know About This Saturday’s Immigration March in L.A.